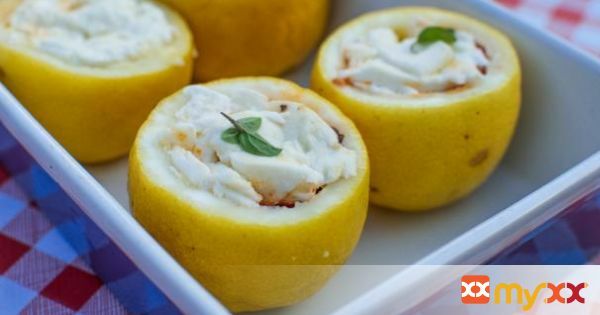 Stuffed lemons with tomatoes, anchovies, basil & mozzarella is a delicious antipasto and perfect example of balancing flavors. We first tried this mouthwatering two-bite bit of heaven on the Amalfi Coast and have been recreating it ever since. Even though it is not a traditional dish of Le Marche, Jason likes to use it in his cooking classes to teach how to balance flavors in the kitchen: fat, acid, sweet, salty & aromatic. The creamy mozzarella subdues the tartness of the lemon; sweet cherry tomatoes go perfectly with the aromatic basil; and salty anchovies round out the dish. All five of these ingredients work together harmoniously so that none of them are overpowering creating a balanced flavor.This dish is also fantastic because you can make it your own very simply. Don't like anchovies? Try some capers or olives instead, better yet go meaty and throw in a little prosciutto to get that salty component that is needed. In Autumn, when the basil is gone and the frost have taken the tomatoes use the ingredients of that season to substitute (Gorgonzola, pear and walnuts sound good to me). Be creative! Keep this philosophy in mind and you can adapt any recipe to fit the season. 2. Remove the ends of the lemons & discard them (don’t cut in to deep - you want to keep a closed bottom). Then cut the lemons in half crossways, giving you little lemon bowls. 4. Cut a piece of mozzarella to fit inside, then lay a basil leaf, half an anchovy fillet and half a cherry tomato on top with a pinch of salt & pepper and a little drizzle of good olive oil. Put another slice of mozzarella on top - the lemon should now be filled up. Do the same to the rest of the lemon bowls. 5. Place on a baking sheet & cook in a preheated oven for 10 - 15 minutes, until golden & bubbling. 6. Remove from the oven and serve immediately. To eat: scoop the mozzarella out and eat with the bread to soak up any juices!